Retired American professional basketball player Earvin "Magic" Johnson is no stranger to the delights of a superyacht charter and this time has returned to the Mediterranean to enjoy the 70 metre motor yacht Amadeus. 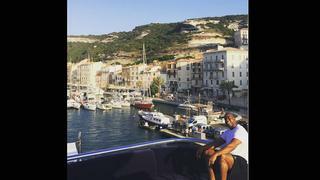 The former point guard for the Los Angeles Lakers has been enjoying his trip around the Mediterranean with his wife, Cookie, and several celebrity friends along the way including Samuel L Jackson and Lewis Hamilton. Here are eight destinations that Magic Johnson has visited during his trip. 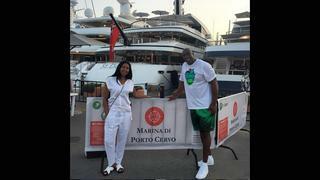 Sorrento, Itlay Magic Johnson and his wife Cookie started their vacation in Sorrento, Italy. The south-eastern Italian town perches on a cliff facing the Bay of Naples on the Sorrentine Peninsula. Cookie posted this picture of the couple celebrating the start of their vacation on board the spcacious Amadeus. Built in 2007 and refitted in 2014 some of her unqiue features include a cinema on the main deck, sauna, automated golf driving range and a Steinway grand piano. Retired American professional basketball player Earvin "Magic" Johnson is no stranger to the delights of a superyacht charter and this time has returned to the Mediterranean to enjoy the 70 metre motor yacht Amadeus. The former point guard for the Los Angeles Lakers has been enjoying his trip around the Mediterranean with his wife, Cookie, and several celebrity friends along the way including Samuel L Jackson and Lewis Hamilton. Here are eight destinations that Magic Johnson has visited during his trip. 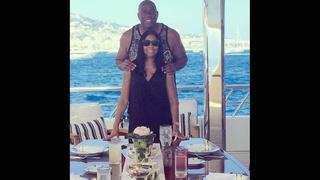 Magic Johnson and his wife Cookie started their vacation in Sorrento, Italy. The south-eastern Italian town perches on a cliff facing the Bay of Naples on the Sorrentine Peninsula. Cookie posted this picture of the couple celebrating the start of their vacation on board the spcacious Amadeus. Built in 2007 and refitted in 2014 some of her unqiue features include a cinema on the main deck, sauna, automated golf driving range and a Steinway grand piano. 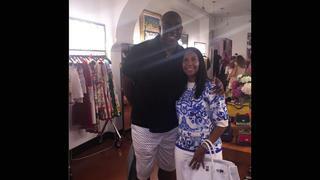 After leaving Sorrento Magic and Cookie Johnson made their way to Capri to celebrate July Fourth on the boat. Samuel L. Jackson and his wife LaTanya, as well as Magic's friends John and Vickie Palmer, joined in the party. The beautiful island of Capri is a superyacht hotspot during the summer months and Capri town offers a host of fantastic restaurants serving some of the world’s best pizza. While in Capri the group enjoyed a dinner off the yacht with Miami Heat owner Mickey Arison and his wife Madeleine. 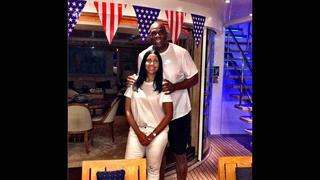 After leaving Sorrento Magic and Cookie Johnson made their way to Capri to celebrate July Fourth on the boat. Samuel L. Jackson and his wife LaTanya, as well as Magic's friends John and Vickie Palmer, joined in the party. The beautiful island of Capri is a superyacht hotspot during the summer months and Capri town offers a host of fantastic restaurants serving some of the world’s best pizza. While in Capri the group enjoyed a dinner off the yacht with Miami Heat owner Mickey Arison and his wife Madeleine. From Capri the group then cruised across the Tyrrhenian Sea to stylish Porto Cervo. The seaside resort is the centre of activities on the Costa Smeralda and is one of the Mediterranean’s top party destinations. Porto Cervo draws a host of the world’s largest yachts every summer and is also home to the Loro Piana Superyacht Regatta. After Porto Cervo Amadeus headed on to the Port of Bonifacio on the Southern tip of Corsica. Magic and Cookie posted pictures of them arriving while relaxing on Amadeus’ Jacuzzi deck. The marina nestles underneath towering cliffs and is only a short walk up to the town. Bonifacio is a stunning, almost perfectly preserved, medieval fortified town. The fortress is built on a high rock protected on three sides by limestone cliffs and the sea. After Porto Cervo Amadeus headed on to the Port of Bonifacio on the Southern tip of Corsica. Magic and Cookie posted pictures of them arriving while relaxing on Amadeus’ Jacuzzi deck. The marina nestles underneath towering cliffs and is only a short walk up to the town. Bonifacio is a stunning, almost perfectly preserved, medieval fortified town. The fortress is built on a high rock protected on three sides by limestone cliffs and the sea. Superyacht Amadeus then cruised along the east-coast of Corsica before traversing back across towards the Italian mainland. Magic and Cookie, as well as the Jacksons and Palmers, spent time in the picturesque town of Portofino. The group took Amadeus’ tender into the town to enjoy some retail therapy. On Instagram Magic Johnson said that Portofino was his “favourite place in the world” to go shopping. It is not hard to see why as the small city has a seemingly endless supply of shops along its beautiful waterfront. Superyacht Amadeus then cruised along the east-coast of Corsica before traversing back across towards the Italian mainland. 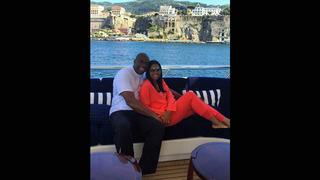 Magic and Cookie, as well as the Jacksons and Palmers, spent time in the picturesque town of Portofino. The group took Amadeus’ tender into the town to enjoy some retail therapy. On Instagram Magic Johnson said that Portofino was his “favourite place in the world” to go shopping. It is not hard to see why as the small city has a seemingly endless supply of shops along its beautiful waterfront. Magic Jackson’s non-stop tour of the Mediterranean then headed on to the delights of the French Riviera. The couple dropped anchor outside Cannes and, as well as doing some more shopping and sightseeing, also managed to watch a firework display from their yacht. A host of famous faces descend on Cannes every May for the Film Festival and the celebrity yacht parties that run alongside it. However, the resort town maintains its draw throughout the summer by boasting some of the world’s best restaurants and boutique shopping. Magic Jackson’s non-stop tour of the Mediterranean then headed on to the delights of the French Riviera. The couple dropped anchor outside Cannes and, as well as doing some more shopping and sightseeing, also managed to watch a firework display from their yacht. A host of famous faces descend on Cannes every May for the Film Festival and the celebrity yacht parties that run alongside it. However, the resort town maintains its draw throughout the summer by boasting some of the world’s best restaurants and boutique shopping. While enjoying his luxury yacht charter in the French Riviera Magic Johnson also visited Antibes. While there he spent time hanging out backstage at Lionel Richie’s concert and even met Prince Albert of Monaco. Johnson also made time to visit his “favourite restaurant” — Le Michelangelo. The Italian restaurant is described as the “kingdom” of its owner Mamo who meticulously oversees every aspect. The celebrity haunt is famous for its risottos and truffle pizza. While enjoying his luxury yacht charter in the French Riviera Magic Johnson also visited Antibes. 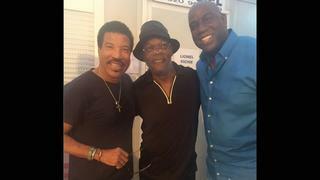 While there he spent time hanging out backstage at Lionel Richie’s concert and even met Prince Albert of Monaco. Johnson also made time to visit his “favourite restaurant” — Le Michelangelo. The Italian restaurant is described as the “kingdom” of its owner Mamo who meticulously oversees every aspect. The celebrity haunt is famous for its risottos and truffle pizza. No trip to the French Riviera is complete without spending some time docked in Port Hercules, Monaco. Monaco is arguably the world’s most famous destination for a luxury yacht charter. During the summer months Port Hercules is the best place to spot celebrities on superyachts and arguably no marina epitomises the yachting lifestyle more. While in Monaco, Magic and Samuel spent some time with Lewis Hamilton. The Formula One driver is a fan of superyachts and has previous chartered celebrity favourite Axioma. No trip to the French Riviera is complete without spending some time docked in Port Hercules, Monaco. Monaco is arguably the world’s most famous destination for a luxury yacht charter. During the summer months Port Hercules is the best place to spot celebrities on superyachts and arguably no marina epitomises the yachting lifestyle more. 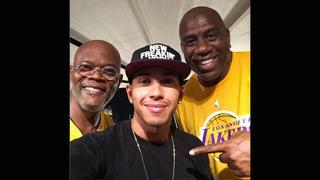 While in Monaco, Magic and Samuel spent some time with Lewis Hamilton. The Formula One driver is a fan of superyachts and has previous chartered celebrity favourite Axioma.